Batting: KL Rahul 47 off 30 balls, Karun Nair 29 off 26 balls, R Ashwin 33 off 21 balls. Bowling: K Khejroliya 2/33 in 4 overs, Washington Sundar 2/22 in 4 overs, Umesh Yadav 3/23 in 4 overs. Batting: Ab de Villiers 57 off 40 balls, Quinton de Kock 45 off 34 balls , Virat Kohli 21 off 16 balls. 1. It was the first match of RCB on home ground against a strong KXIP lineup. RCB desperately needed to win this match and register their first win of IPL 2018. On the other hand, KXIP were not going to go down easy. 2. 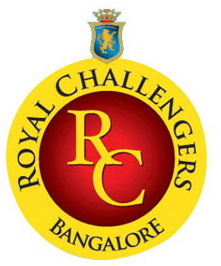 The toss was won by Royal Challengers Bangalore and they chose to field first. KXIP openers MA Agarwal and the destructive KL Rahul walked out to bat. Bowling had always been RCB’s weakness and KXIP cashed on it. 3. The openers started swiftly scoring 10 runs per over. But RCB came back in the match as Umesh Yadav took 3 wickets in the 4th over. KL Rahul and Karun Nair stabilized the innings for a while by scoring a solid partnership of 58 runs. 4. However, RCB soon came back in the match after they claimed three wickets in three successive overs. 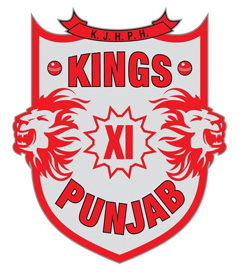 KXIP were now 6 wickets down for a total of 110 runs. 5. Now it was up to Ashwin and Axar Patel to play smart and take the total to at least 160+. Ashwin lost Patel then Tye but batted responsibly as a captain and scored 33 off 21 balls to take his team over 150. 6. KXIP were bowled out on 155 runs and RCB looked quite satisfied with their bowling performance. One bowler took three while three bowlers took two wickets each to restrict KXIP to an average total on this ground. 7. The 2nd innings went underway and RCB’s openers got set on the crease. The KXIP captain’s decision to give the ball to Axar worked as the spinner struck on his second ball of the 1st over of the match. 8. Kohli came to crease and looked in fine touch too. He and de Kock shared a 32-run partnership before Mujeeb shattered the RCB captain’s stumps. ABD now joined his South African team mate on the crease. 9. Both batsman now added 54 runs for the 3rd wicket after which Ashwin’s double strike in the 12th over removed de Kock and SN Khan. But, ABD went berserk on the KXIP bowlers and reached his fifty from 36 balls. 10. After he got out the remaining job was completed by Washington Sundar. The all-rounder struck two fours in the last over to win it for his team. This is also the first win for RCB in this season.